If you are a website owner and still you have not implemented web push notifications, then you are missing a large number of available opportunities for your business. 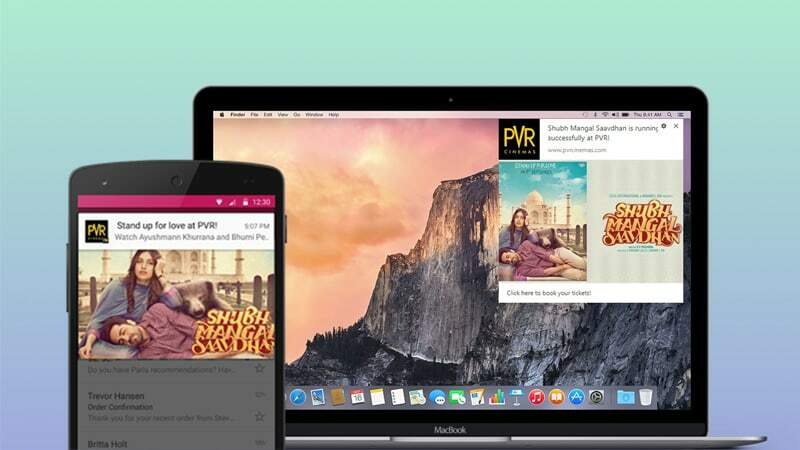 Many website owners don’t even think about getting web push notification integrated because they don’t know about the benefits of push notifications benefits that they will be able to receive. Here in this article, you will know about the importance of Web Push Notification. These are some points which highlight the importance of getting push notifications integrated into your website. You have to continue with your marketing activities with the assistance of push notifications without any personal details, this will help your company to be considered more as people are more reluctant to provide their personal details. Just a single click is required for subscription with no hassle. You can also display a custom message to increase the number of subscription. A message can be about latest offers, discounts or daily updates as given below. Push notifications which you send to the audiences will be seen immediately. In today’s competitive business world, you have to send out messages to the customers instantly. Push notifications help you to communicate along with your customers even if they have closed the website on their internet browsers. The only requirement for the delivery of push notification is the Internet. In case of no internet, whenever a user starts using the Internet whether the website is open or not, the notification will get delivered. Push notification is a new technology in the crowded web world that helps the company to push or to provide relevant information to their users which they are looking for in an easy simple way as these notification messages are simple, short and easily understandable. Push notifications have only relevant information and according to the users. It shows an interesting short message along with a rich image in a very attractive manner that prompts a user to click on it. Whenever you will broadcast a push notification to your customers, the notifications get delivered to the users instantly. The users will be able to see those notifications on the right-hand corner of the desktop and in the notification tray of their mobile devices. A user just has to click on push notification that lands the user to the related page. Push notifications can be considered as one of the most convenient methods for you to increase your conversion rates. It increases the conversion rate than other mediums like SMS and emails. (Read About Different between Sms and Push Notification) This fact has been proven through a large number of studies conducted in the past. Push notifications can increase the conversion rate by around 20%. It increases your chances of converting your potential audiences into customers. 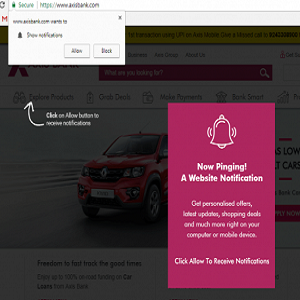 Web Push notification messages help you to re-marketing your website. 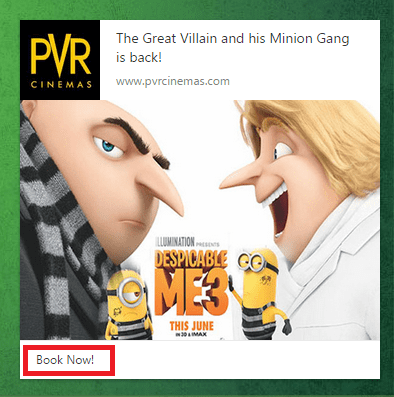 For any product site, re-marketing is important. As for example, if a customer has left few items in their cart, then you can just prompt notification and let them know about it. 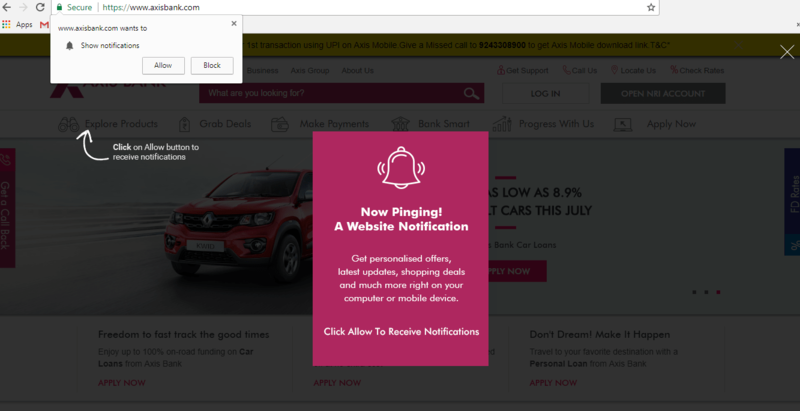 Web Push Notification can also be used to show about the latest offers, sales, and new products according to customer’s purchase history. You can also send personalized push notification messages (by using their name or any other info) to gain more attention. It is very useful for retailers as cart abandonment is the main problem faced by them. Many business owners in today’s world feel the need to develop a mobile App (both android and ios app) because they want to send App Push Notifications instantly to potential audiences. But it would be useless to spend such a lot of money to develop a mobile app. You just have to do is to get push notifications for the website. It is a one-time investment to introduce web push notifications into the website, as it provides a long run profit to you. 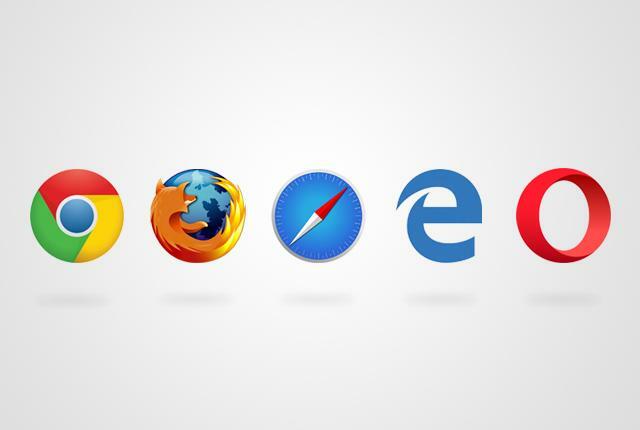 Push notifications will be compatible with all major browsers used by customers, like Google Chrome, Safari, Firefox, Internet Explorer and Opera. 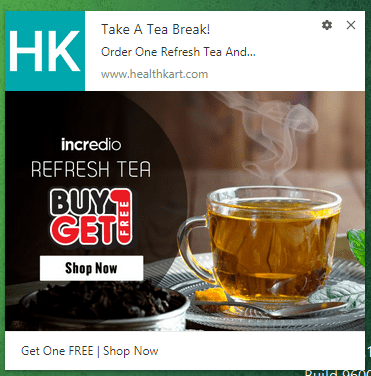 It helps you to avoid any hassle of integrating push notifications to different browsers by spending additional efforts.